Hey there TSK readers! My name is Shahidah pronounced Sha-he-da, but my friends call me Sha. I’m the mom boss/blogger behind the blog, Watch me WERK. 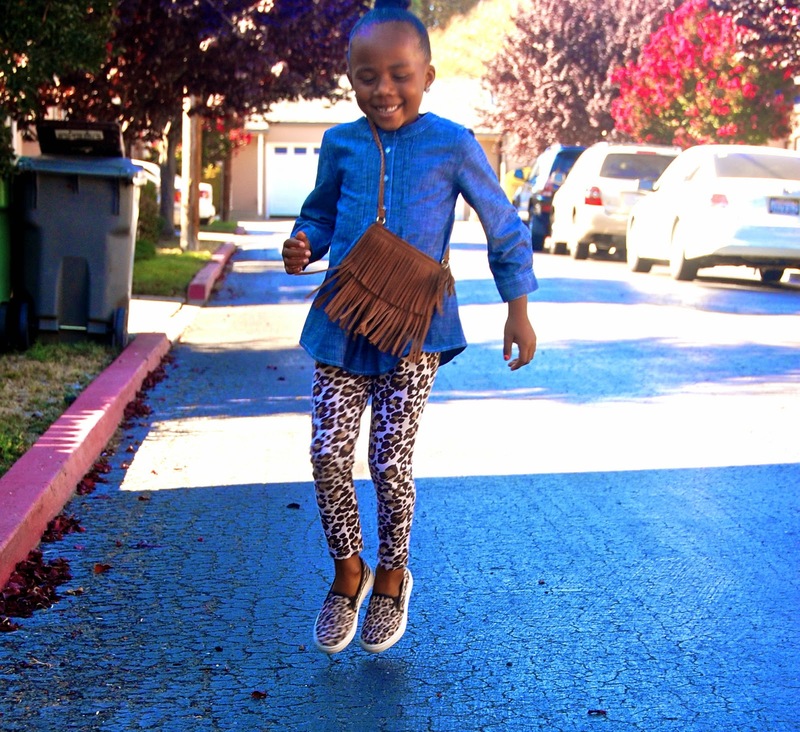 Saniyah is my daughter and we are super excited to be joining the TSK family. 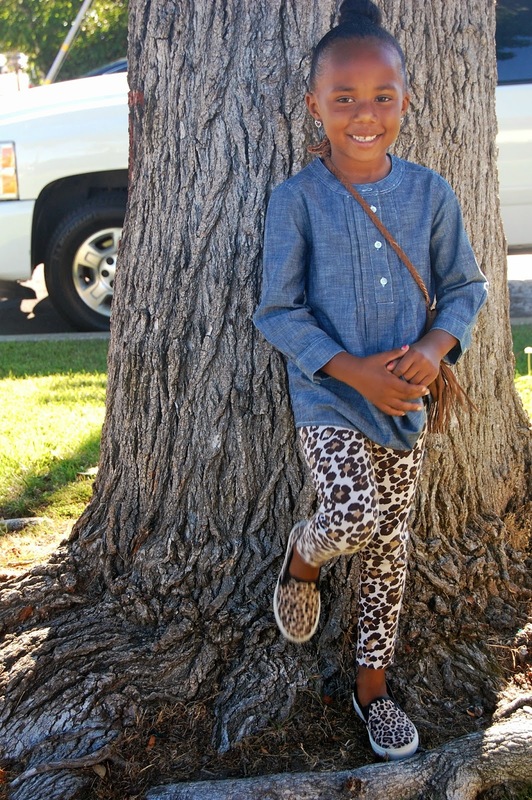 Saniyah has always loved getting dressed and feeling fancy, but she’s recently come into a cute relaxed style of her own. She loves to mix and match her pieces, with a little direction from mommy of course. We are establishing her closet staples while teaching her that “less is more”. 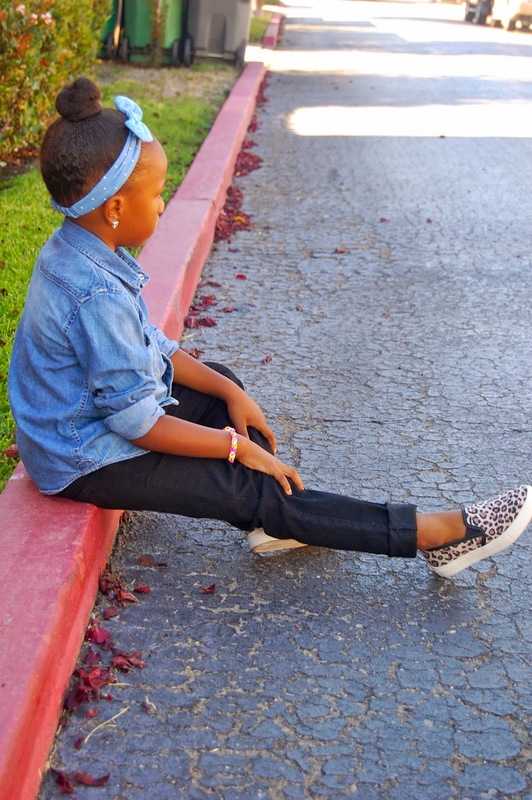 Today’s style post is all about denim + leopard print. 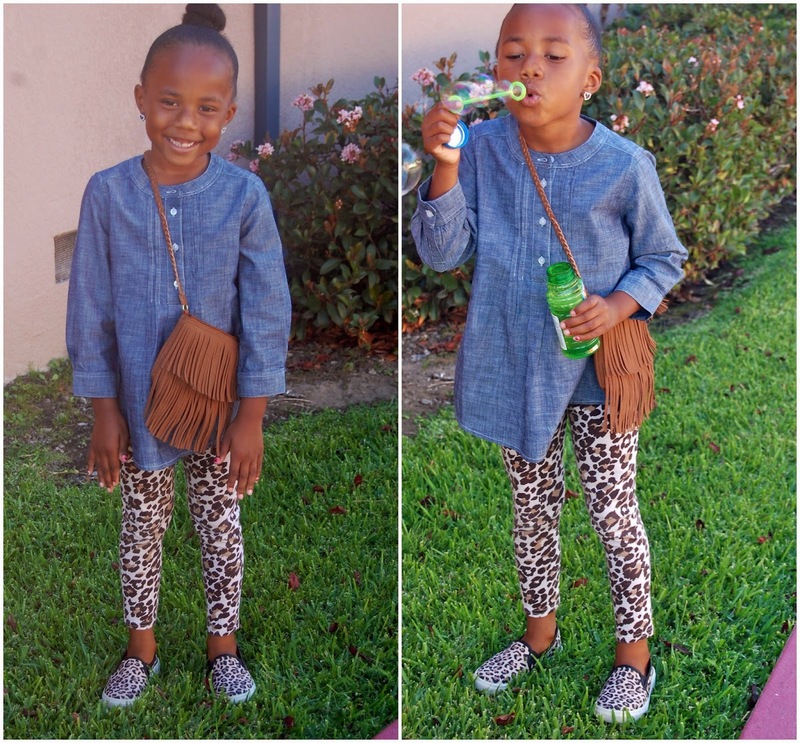 2 things that have been in major rotation for Saniyah’s daily styling. 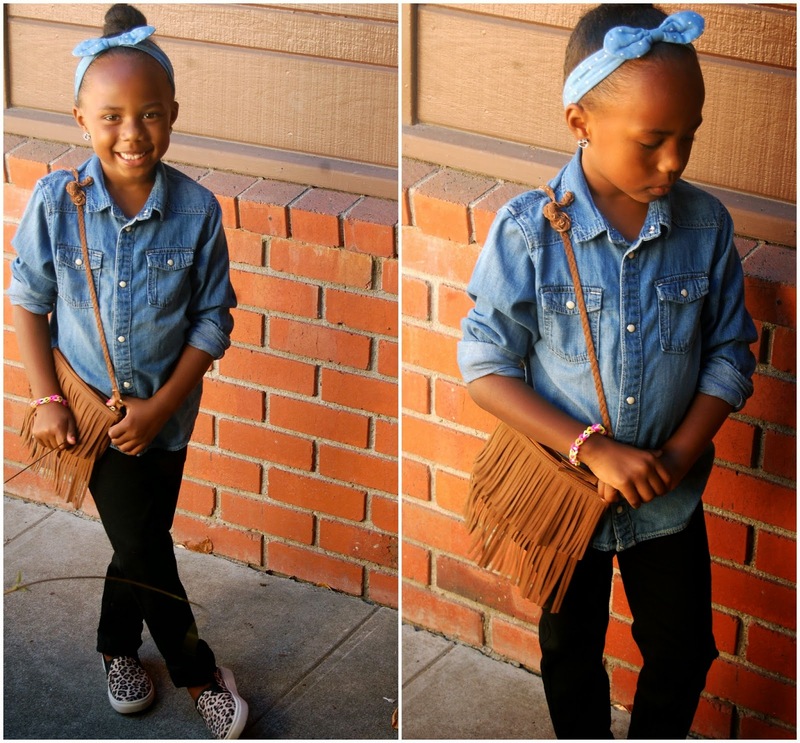 Denim is obviously a staple in every one’s closet and leopard is pretty much the new neutral in our book. 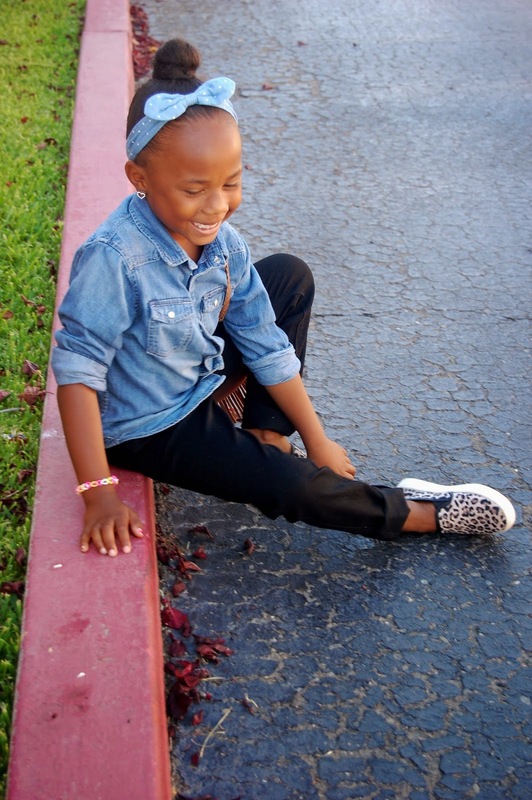 I recently picked up this pair of leopard slip-on sneakers for Saniyah at Kohl’s, she actually spotted them first, then hit me with the “ooooh mom can we get these” I own quite a few pair of leopard shoes myself so it’s only right she have a pair too right ?!! I’m beyond grateful to say I’m in a very great space in my life at 31 I’m a mother of 2, wife of 8 years , Salon owner going on almost 5 years (boy time flies) and currently in the process of launching a shoppable magazine for the “Cool Girl” & “Boss Mom” on the go. MOMents with Jenny: Welcome to 2013!! !